The rap star will not be entering Canada anytime soon. 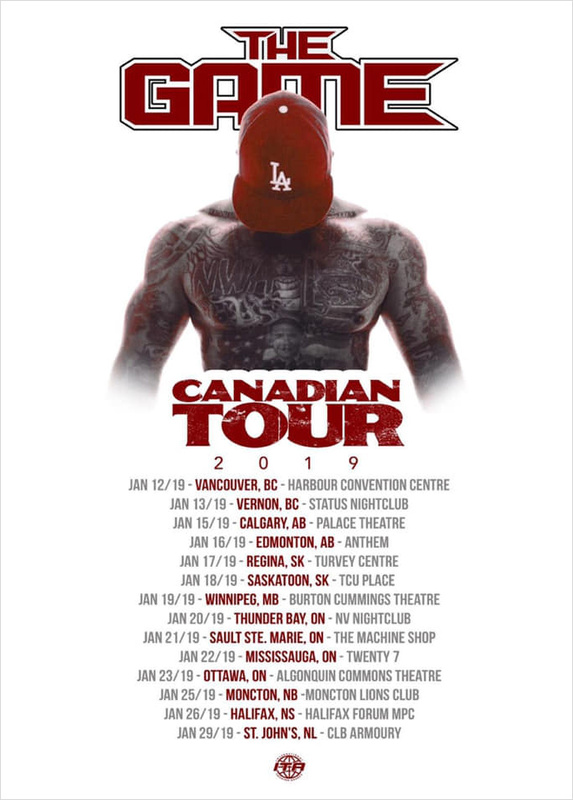 (AllHipHop News) Rap star Game's highly anticipated tour of Canada has been axed. The promoter of the tour, Spotlight Productions made the announcement on Facebook. Game was supposed to kick off the 14-date tour in Vancouver this weekend, but that show, nor any other performance on the outing, will be going down. The Canadian government denied the rap star's application to enter the country to work, even after Game went through an extraordinary amount of paperwork in an attempt to gain entry. According to the promoter, Game and his lawyers followed the strict guidelines and submitted an application complete with letters from fans, as well as references, to provide proof of the "artist's rehabilitation" so he could enter the country. "It is with great sadness and frustration that the Canadian government could not see the overwhelming desire and benefit, and no risk to Canadians to let artist The Game do this tour and to fulfill such a wanted need from the businesses, the promoters, and the fans it would have benefited in such a positive way," a representative for Spotlight said in a statement. Promoters all across the country who had booked Game are offering refunds at the point of purchase. Take a look at the full statement.